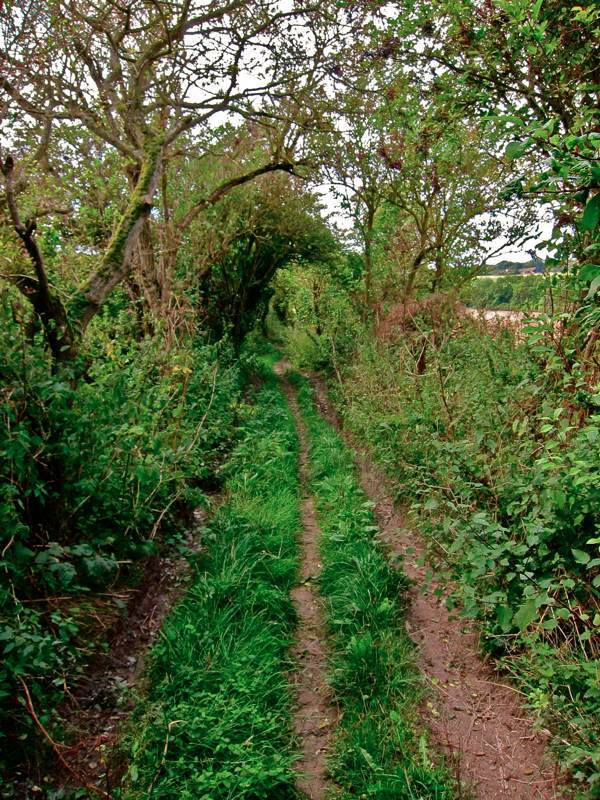 They say it is the oldest road in Britain, maybe the oldest in Europe. 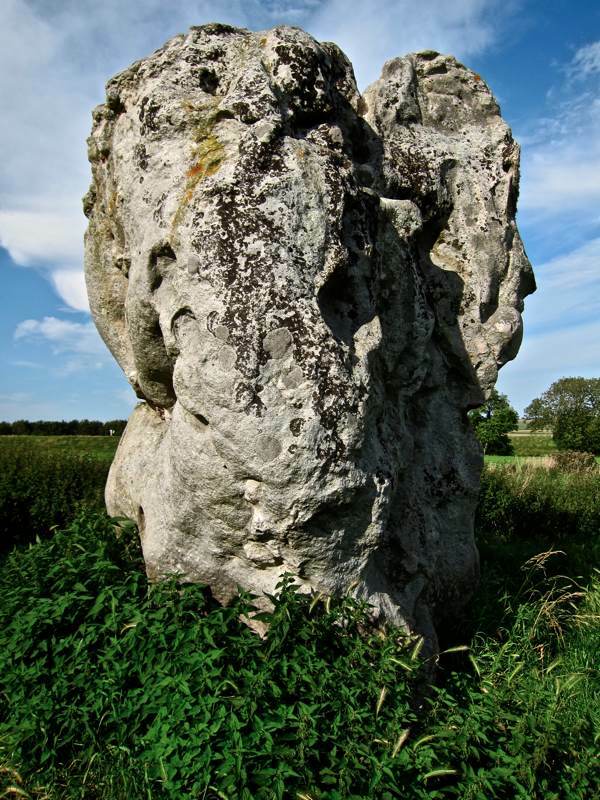 Starting from the highest navigable point of the Thames in prehistoric times, the Ridgeway follows the hilltops to arrive at Salisbury Plain where once wild cattle and horses roamed. 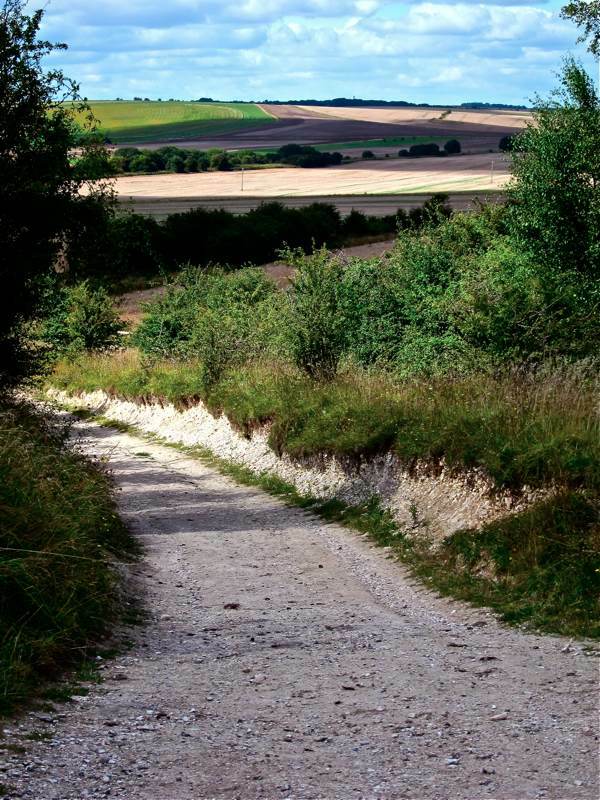 When the valleys were forested and impenetrable, the Ridgeway offered a natural route over the downland and into the heart of this island. 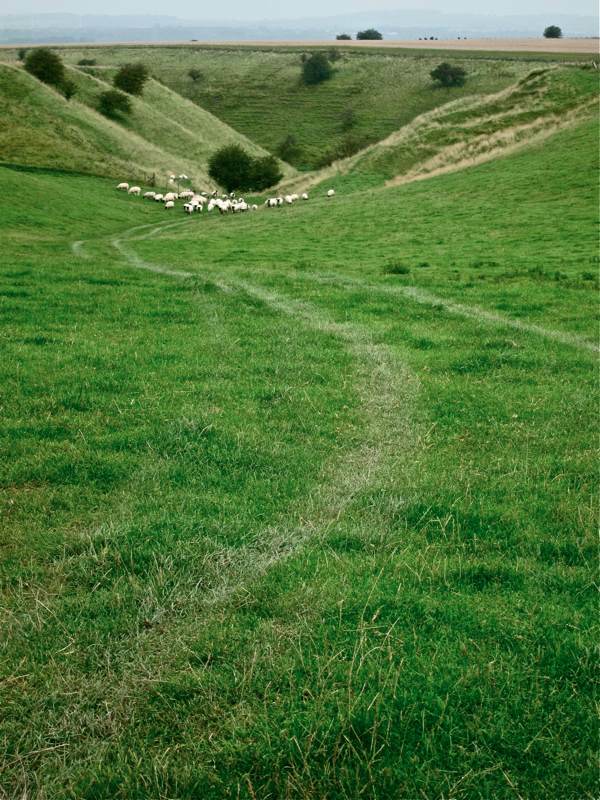 Centuries of cattle driving wore a trackway that curved across the hillside, traversing the contours of the landscape and unravelling like a ribbon towards the horizon. 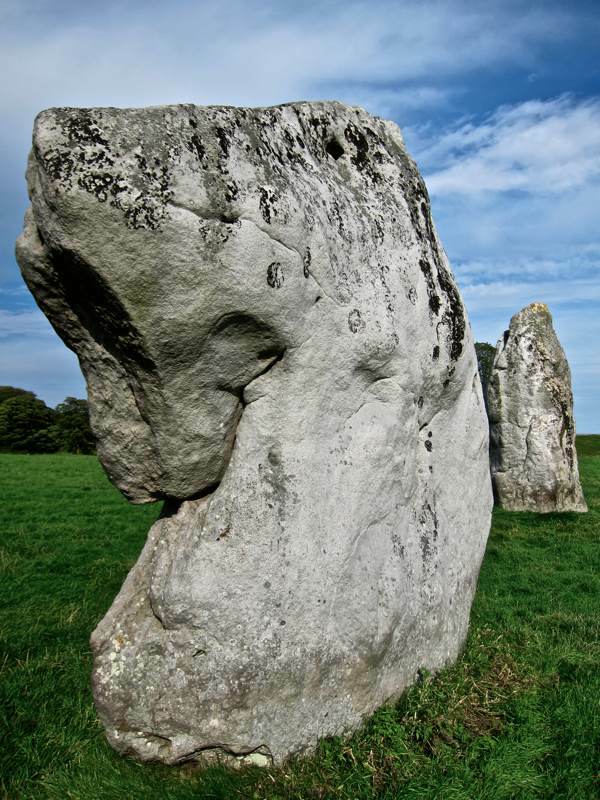 Over thousands of years, the Ridgeway became a trading route extending from coast to coast, as far as Lyme Regis in the west and the Wash in the east, with fortresses and monuments along the way. 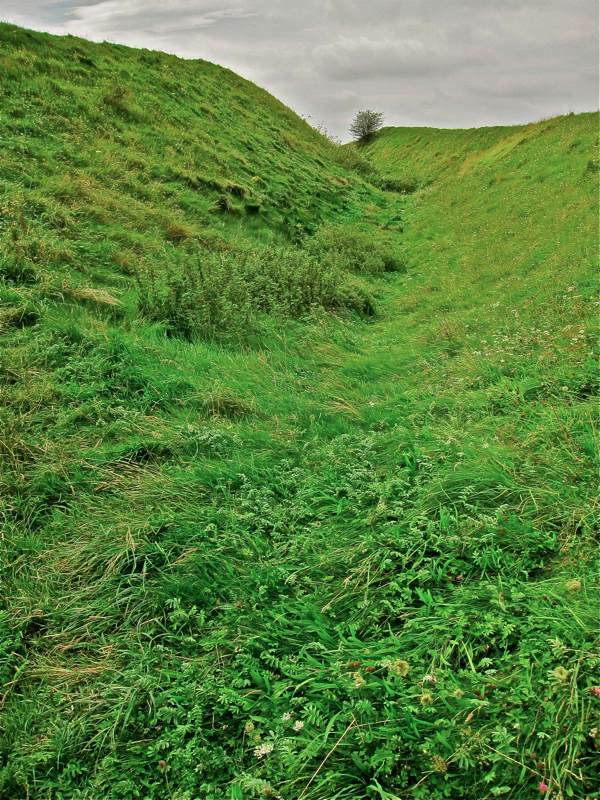 Yet once the valleys became accessible it was defunct, replaced by the Icknield Way – a lower level path that skirted the foot of the hills – and there are burial mounds which traverse the Ridgeway dated to 2000BC, indicating that the highway was no longer in use by then. 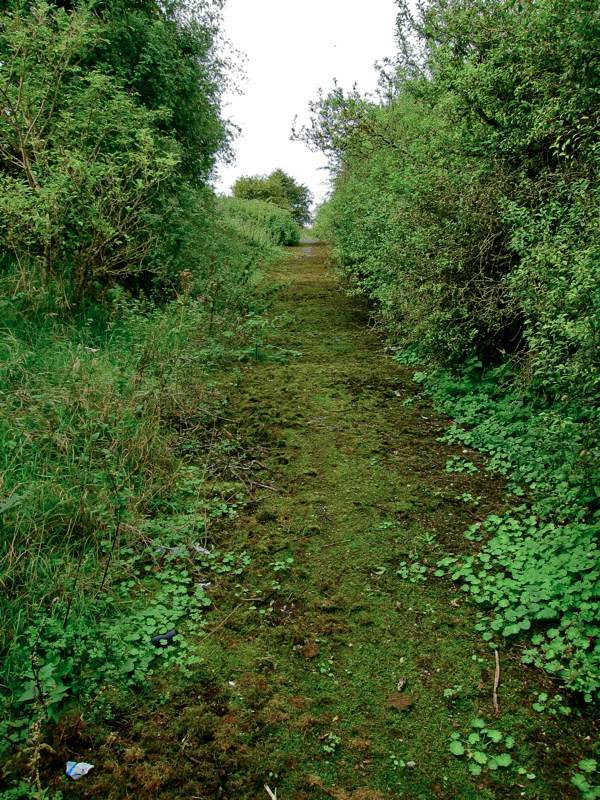 In fact, this obsolescence preserved the Ridgeway because it was never incorporated into the modern road network and remains a green path to this day where anyone can set out and walk in the footsteps of our earliest predecessors in this land, as I did last week. Leaving Spitalfields early and taking the hour’s rail journey to Goring & Streatley from Paddington, I was ascending the hill from the river by eleven and onto the upland by midday. 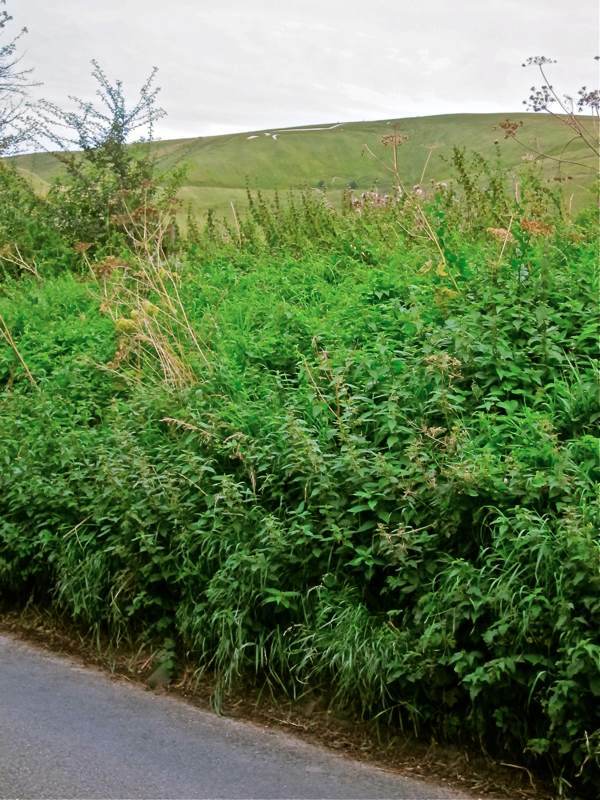 In this section, the flinty path of the Ridgeway is bordered with deep hedges of hawthorn, blackthorn and hazel, giving way to the open downland rich with the pink and blue flowers of late summer, knapweed, scabious and harebells. A quarter of a century has passed since I first passed this way and yet nothing has changed up there. It is the same huge sky and expansive grassy plain undulating into the distance with barely a building in sight. This landscape dwarfs the human figure, inducing a sense of exhilaration at the dramatic effects of light and cloud, sending patterns travelling fast across the vast grassy wind-blown hills. 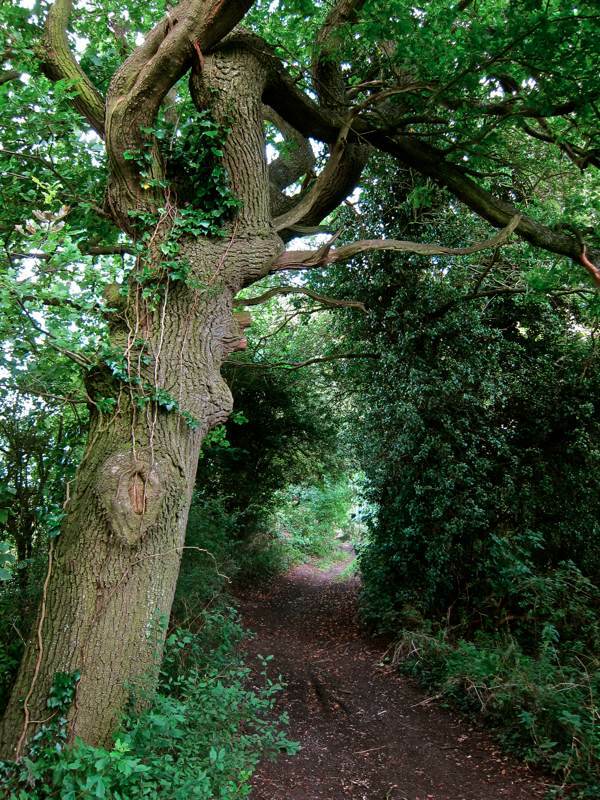 When I first began to write and London grew claustrophobic, I often undertook this walk through the different seasons of the year. I discovered that the sheer exertion of walking all day, buffeted upon the hilltops and sometimes marching doggedly through driving rain, never failed to clear my mind. As a consequence, the shape of the journey is graven into memory even though, returning eighteen years since my last visit, the landscape was greater than I had fashioned it in recollection. And this is the quality that fascinates me about such epic terrain, which the mind cannot satisfactorily contain and thus each return offers a renewed acquaintance of wonder at the scale and majesty of the natural world. In those days, I was in thrall to endurance walking and I would continue until I could go no further, either because of exhaustion or nightfall. This vast elevated downland landscape encouraged such excessive behaviour, leading me on and on along the empty path to discover what lay over the brow and engendering a giddy sense of falling forward, walking through the sky – as if you might take flight. I walked until I thought I could walk no more and then I carried on walking until walking became automatic, like breathing. In this state my body was propelled forward of its own volition and my mind was free. 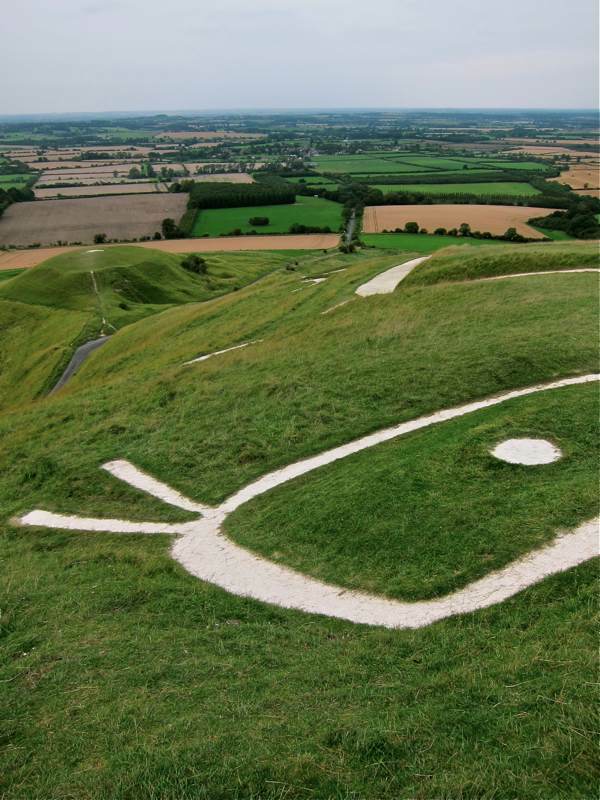 One day’s walk brings you to Uffington and the famous White Horse, carved into the chalk of the downland. Placed perfectly upon the crest of a ridge within a vast fold of the hills, this sparsely drawn Neolithic figure looks out across the arable farmland of Oxfordshire beyond and can be seen for great distances. A mystery now, a representation that may once have been a symbol for a people lost in time, it retains a primeval charisma, and there is such an intensity of delight to reach this figure at the end of a day’s walking. Breathless and weary of limbs, I stumbled over the hill to sit there alone upon the back of the hundred foot White Horse at dusk, before descending to the village of Bishopstone for the night. 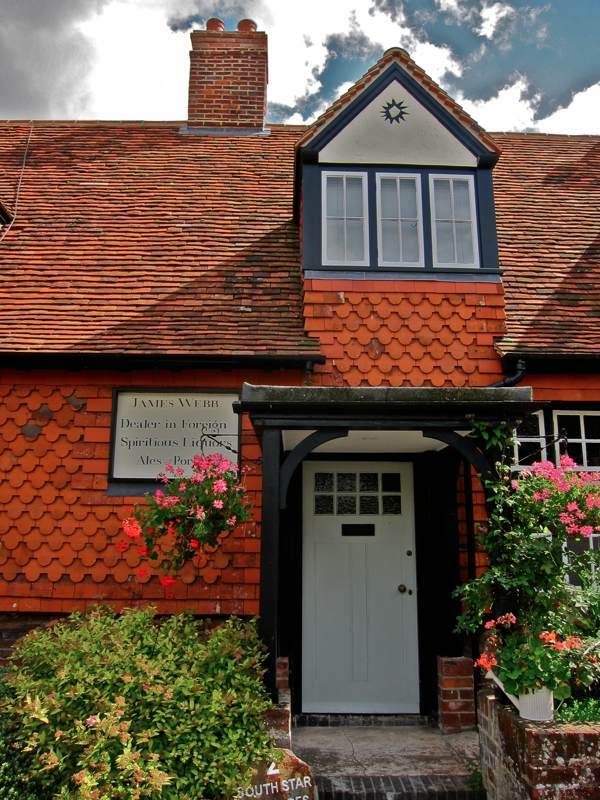 There, at Prebendal Farm, Jo Selbourne offers a generous welcome and, as well as the usual bed and breakfast, will show you the exquisitely smoothed ceremonial Neolithic axe head found upon the farm. 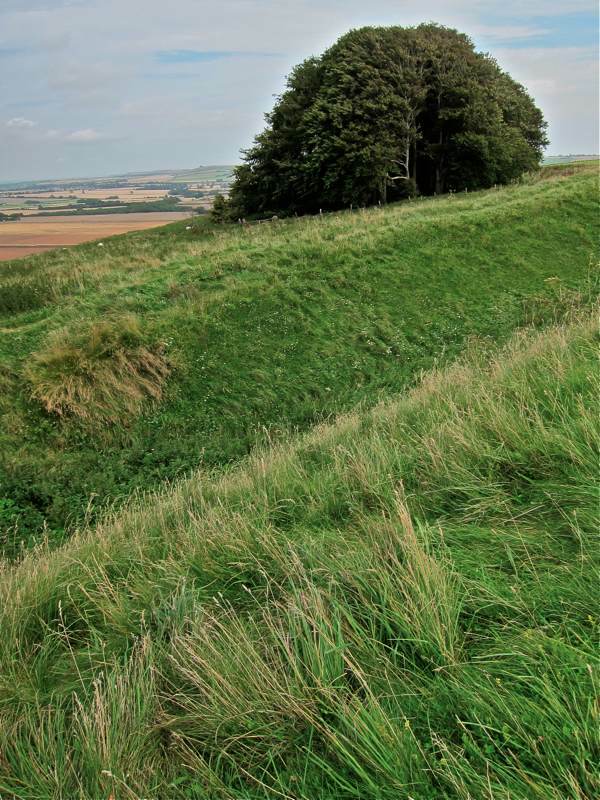 The second day’s walk leads through the earthen ramparts of Liddington Hill and Barbary Castle, and on either side of the path the fields are punctuated by clumps of trees indicating the myriad ancient burial mounds scattered upon this bare Wiltshire scenery. 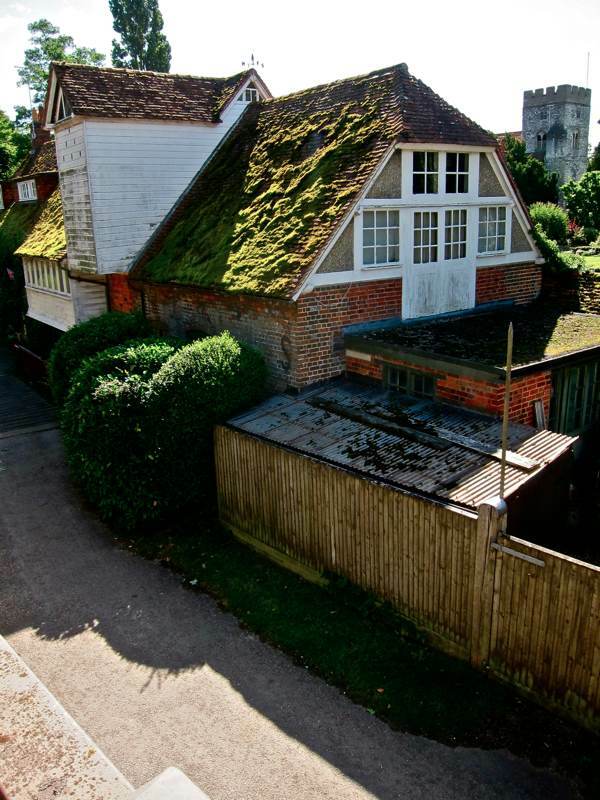 It is a more expansive land than the fields of Berkshire where I began my journey, here the interventions made in ancient times still hold their own and the evidence of the modernity is sparser. 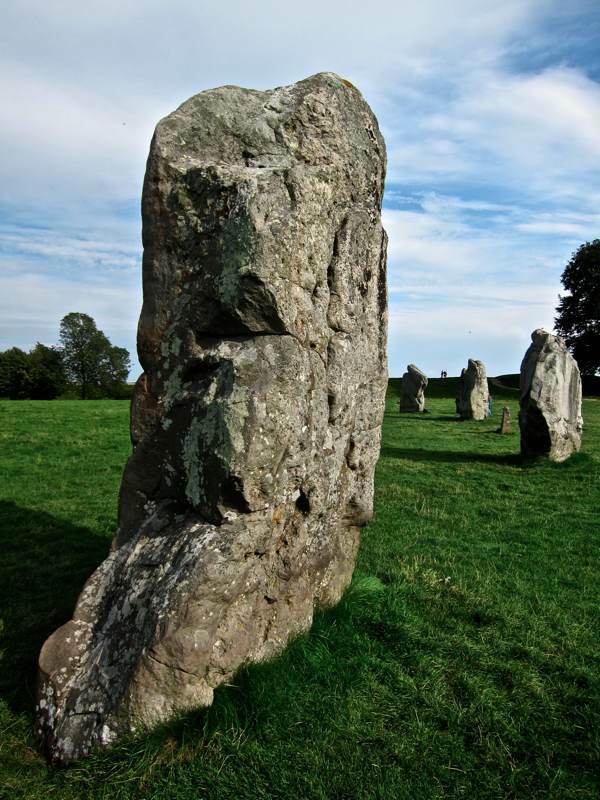 As I made the final descent from the hill towards Avebury, a village within a massive earthwork and stone circle which was the culmination of my journey, I could not resist the feeling that it was all there for me and I had earned it by walking along the old path which for thousands of years had brought people to arrive at this enigmatic location of pilgrimage. In two days upon the hilltops I had only passed a dozen lone walkers, and now the crowds, the coach parties, the shops and the traffic were a startling sight to behold. And so I knew my journey had fulfilled its purpose – to reacquaint me freshly with the familiar world and restore a sense of proportion. My feet were sore and my face was flushed by the sun. I began my journey in August and ended it in September. 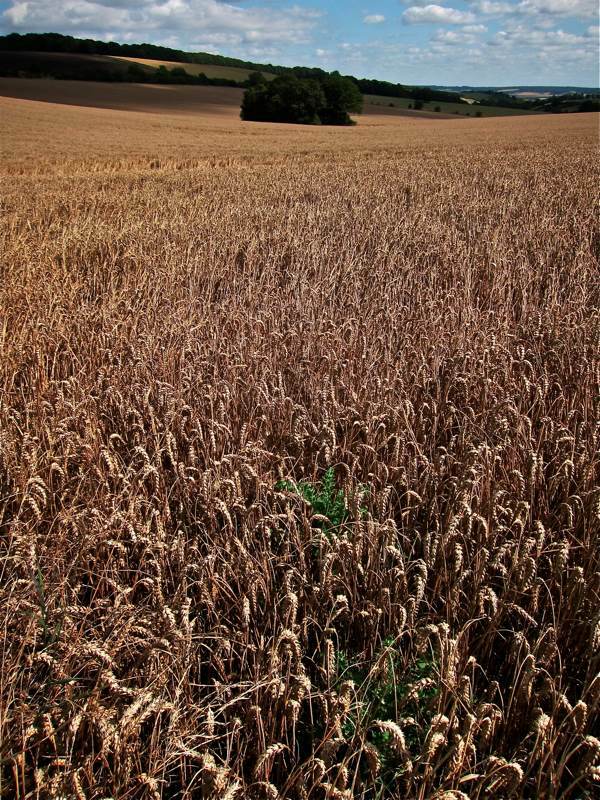 In Berkshire, the ripe fields of corn were standing, in Oxfordshire, they were being harvested and, in Wiltshire, I saw the stubble being ploughed in. It had been a walk to arrive at the end of the summer. 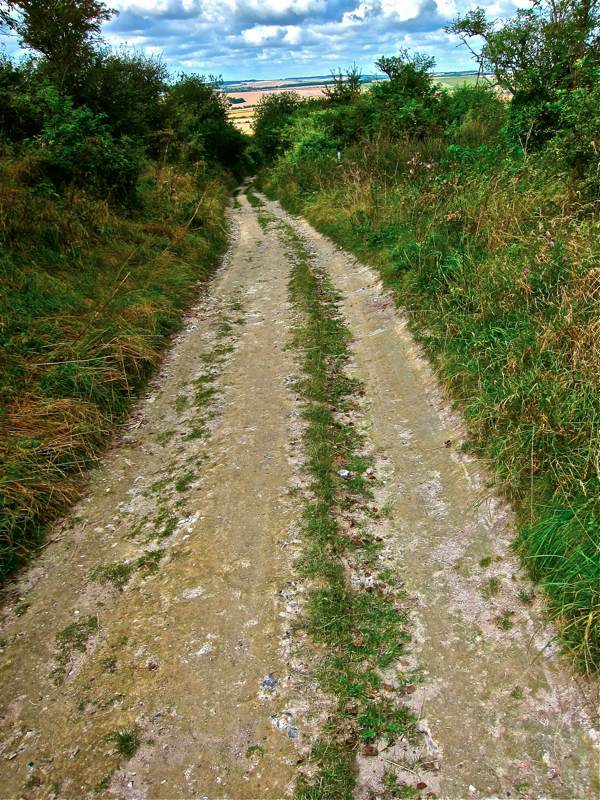 It had been a walk through time along the oldest road. A ninety-two year old man told me this year is the worst harvest he could remember. 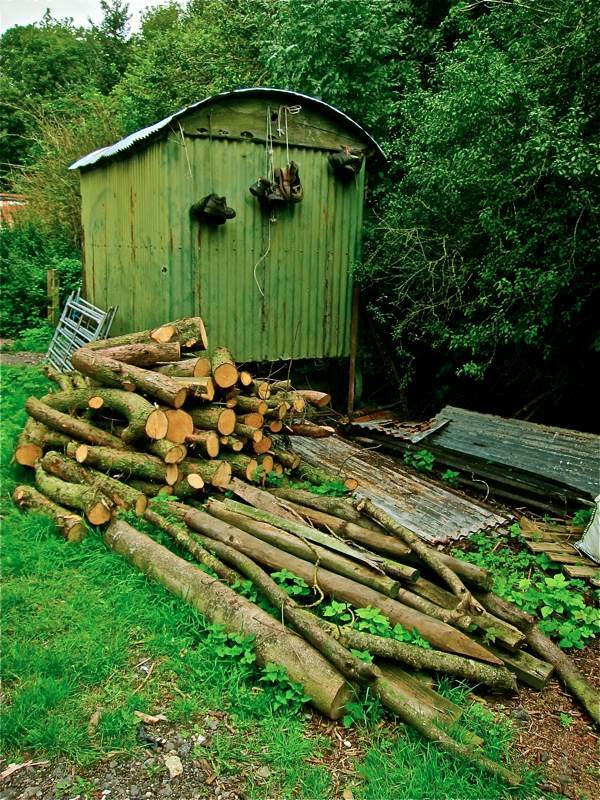 “It doesn’t want to come in the barn,” he lamented. 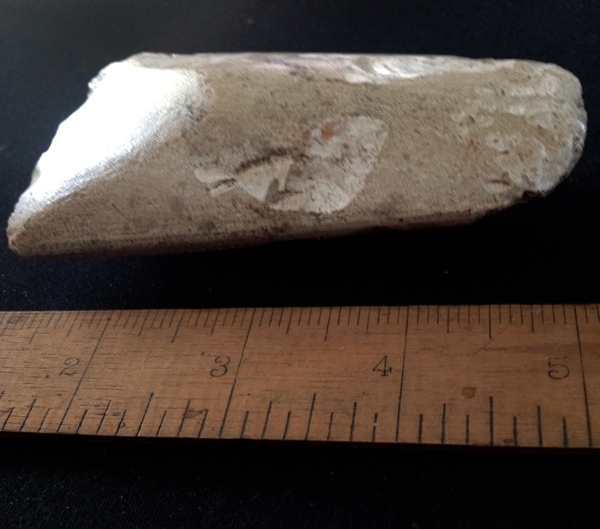 The Neolithic axe head found at Prebendal Farm, photo by Rob Selbourne. 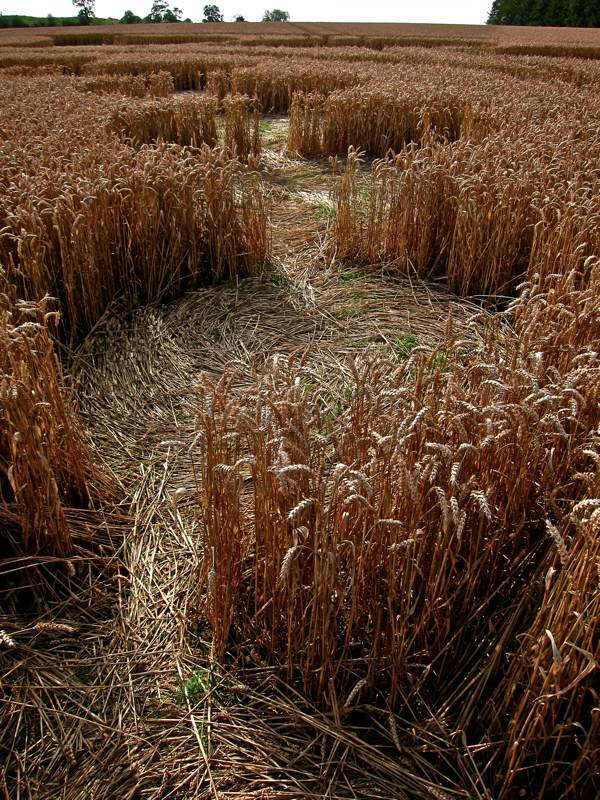 Since the man suspected of making crop circles died, his protege has adopted a different style of design. It’s exhilarating to read and as you look at the pictures you just want to lace up your boots and get going. Like your soul brother Richard Jefferies you give us glimpses of the story of your heart. More please. This is inspirational. You write so well and such beautiful photos. How is it possible to maintain such quality day after day? I’m pinning you to my list of favourite websites. I hope our blog will grow up to be as good as this. One of my favorite posts. So beautiful in both pictures and prose. 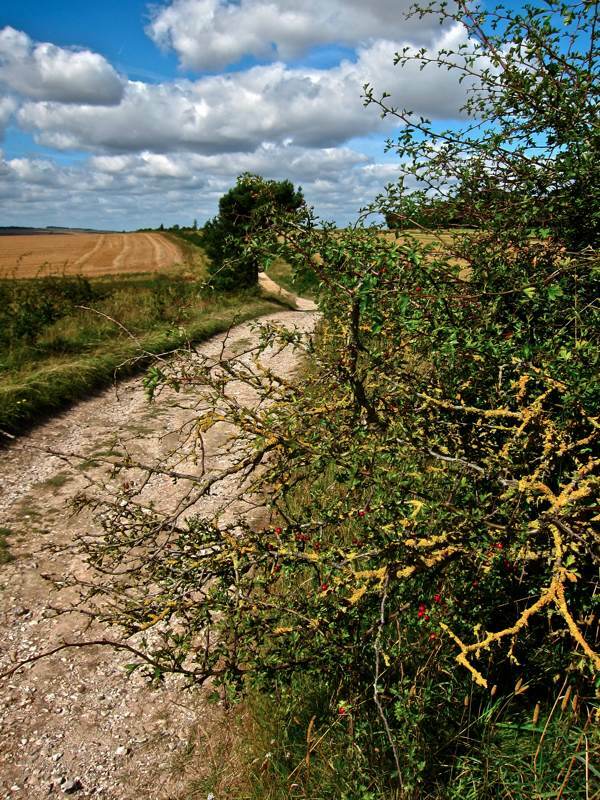 This is racehorse country – the Ridgeway skirts the Downs high above Lambourn away to the south, and wanders right along the edges of the gallops from up near Swindon to the west over by Chilton. It’s exhilarating to be there at first light, as the strings or horses come over the hills, and the birds wheel in the skies. And everywhere you turn there is evidence of our prehistoric ancestors. 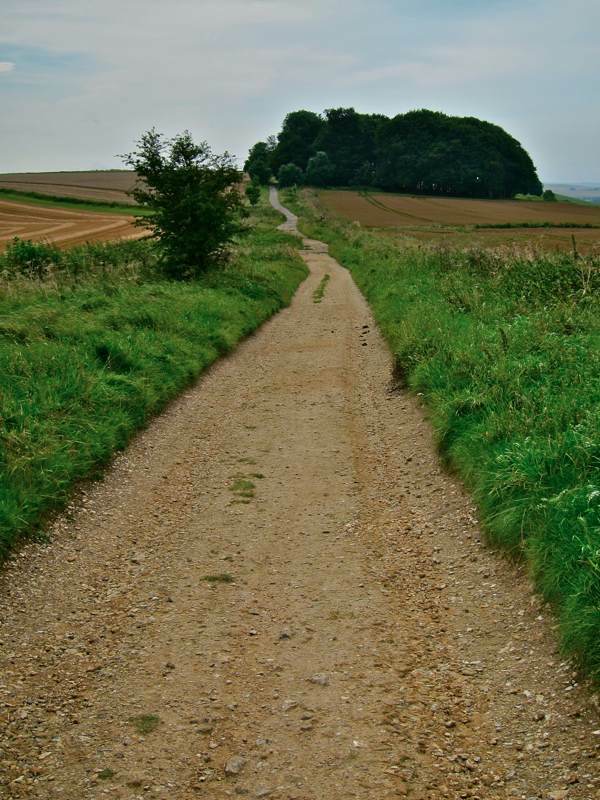 I first walked the Ridgeway more than ten years ago now, and was back up there again last week. I’ve never found another path that has demanded to be travelled in the same way; it’s good to find a kindred spirit. to sit here in new mexico and walk along the ridgeway with you is almost unimaginable. thank you.